I graduated from University of Tennessee almost 20 years ago - YIKES! It was during that time that I was honored to have met Pat Summitt and I have remained a life long fan and admirer of hers. She passed away earlier this month from younger-onset Alzheimer’s Disease. For those that did not know who she was… she was the Lady Vols basketball coach and one of the winningest coaches of all-time (men or women.) She had many impressive stats, but one of the most impressive was that her students had a 100% graduation rate. 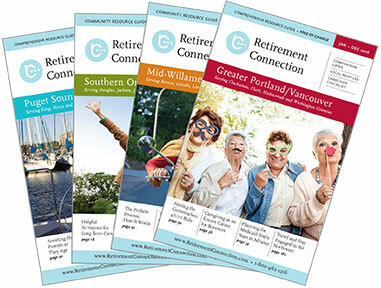 Her attention to infinite detail has always impressed and I hope to give the same type of effort when publishing Retirement Connection Guide and serving our community. 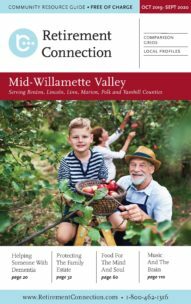 We are now in the final weeks to reserve your space in the upcoming October 2016 edition of the Mid- Willamette Valley Guide of Retirement Connection. Please contact Krista if you know someone who may be interested in learning more about the services that Retirement Connection provides. We look forward celebrating our most recent “win” and we hope you will join us on October 27th at the Retirement Connection Release Party. (View Invitation | RSVP ) As we prep for the party and for print, don’t forget to view your listing information and send updates as soon as possible. All Day Save the Date! 8:30 AM Save the Date! It was a challenge to find a favorite quote from Pat Summitt, since there are so many. She had very high expectations of herself and of those she coached, mentored, and met. The quote above is a favorite because it speaks to effort rather than skill or talent. Everyone has the potential to be the most competitive and give the full effort and she saw that potential in others. ~ Amy Schmidt, University of Tennessee class of ’96 Go Vols!